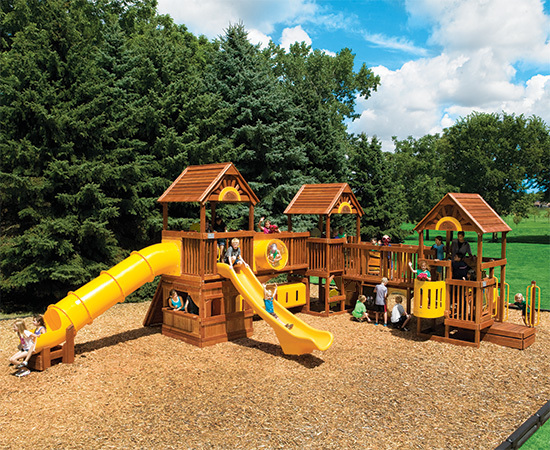 Rainbow’s commercial playground sets are perfect for community parks, private schools, churches, daycares, apartment complexes, campgrounds, and more! 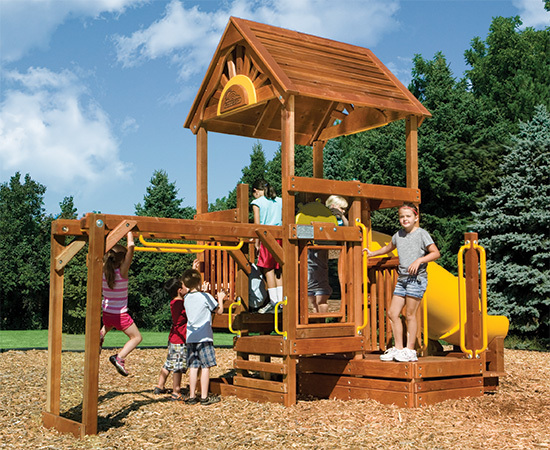 We proudly offer ADA Accessible playsets, meeting the American’s with Disabilities Act Accessibility Guidelines. 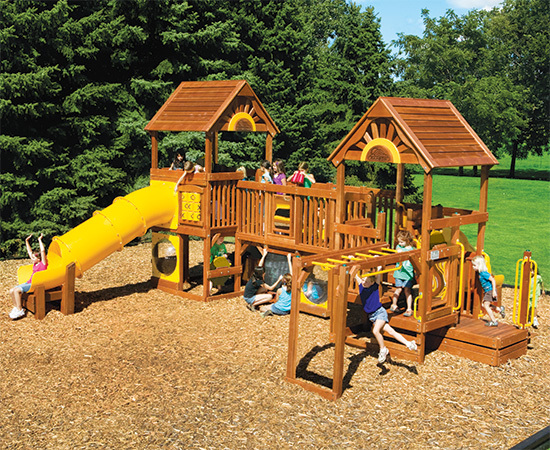 Our commercial playground sets meet or exceed American Society for Testing Materials safety standards for public grounds! The Rainbow Play Village is a line of commercial wooden playground equipment with multiple layouts and customizations for your park or business! Our modular designs make it easy to design the perfect outdoor playground, add slides, bridges, and exciting accessories. Need a playset that’s ADA Accessible? Our ADA Station add-on ensures every child has a chance to play on a Rainbow Play System! You truly have to see it to believe it! Bring your family to one of our nationwide showrooms to experience our dedication to quality in person. Climbing, sliding, and swinging is encouraged!